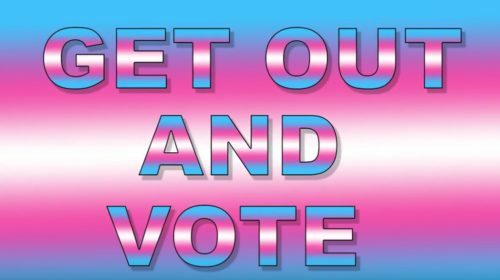 Monica Helms, the creator of the transgender pride flag, made a video to tell trans and gender non-conforming people to vote. A Navy veteran, Helms knows the importance of the midterm elections and she wants trans people to understand what’s at stake. In the video, she shows several ways the Trump Administration has turned back the clock on rights for transgender people, citing Trump’s military ban and how Betsy DeVos and Jeff Sessions rescinded protections for transgender students. States have also been trying to restrict transgender people’s access to restrooms, Helms said, admonishing viewers to vote for supportive politicians at every level of government. “This midterm election is a very important one,” Helms posted on Facebook.